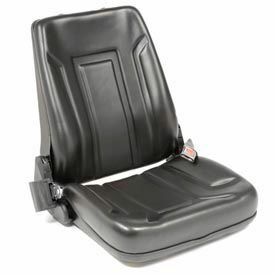 Forklift Truck Seats feature an Ergonomic Seat Design that provides Optimum Body Support for Individual Operators. Replaces old, worn out or broken Forklift Seats with ease using an easy-to-install universal mounting design that fits most applications. Forklift Seats features a low profile design, back angle adjustment, adjustable lumbar support and retractable seat belt. TVH Parts OEM Replacement Forklift Seats are Easy to Install. TVH Parts OEM Replacement Forklift Seats are constructed of embossed, quality vinyl for long lasting durability. 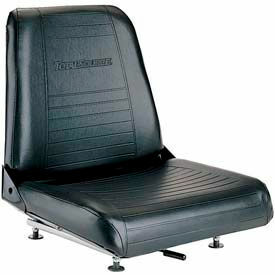 The Seats provide optimum body support and are designed for easy installation. Dimensions and colors vary. 90 Day Limited Warranty. 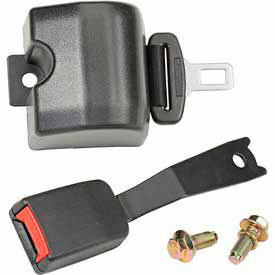 Replacement Forklift Seat Belts offer Increased Operator Safety. Retractable 2" wide Forklift Seat Belts include buckle and mounting hardware for easy installation. Safety Belts conform to ECER16 Power-driven Vehicle Safety Belt Regulations that requires employers to protect employees from serious and recognized hazards.